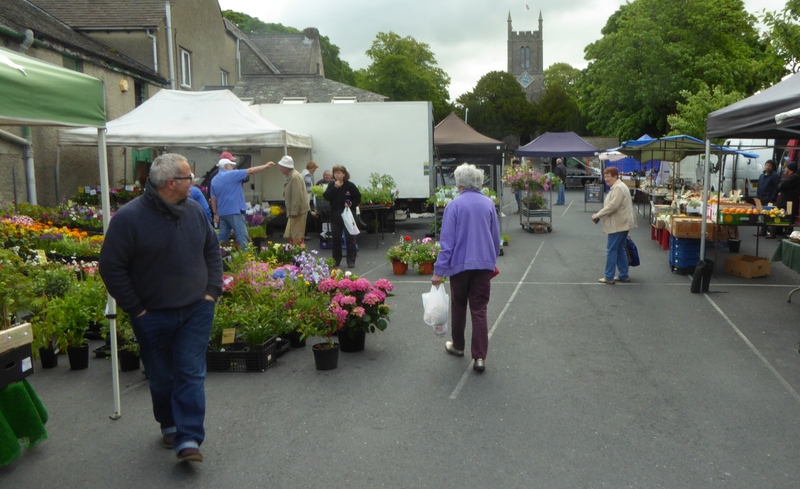 Today is market day in Milnthorpe where I start today’s walk. I take a walk around the stalls and say a cheery good morning to a few people. In the square I meet Sue who runs a butty van which is very popular. Sue started her business up 25 years ago under the Prince of Wales scheme. She was one of the first recipients of a grant from the Prince of Wales Trust. I can highly recommend her bacon baps.